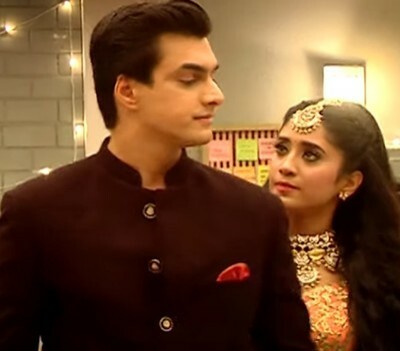 Star Plus popular show Yeh Rishta Kya Kehlata Hai which is full of twists and turns and audience will witness some major drama in Naira's life. She finally knows the intentions of Puru Mama which she was thinking was wrong. Puru intentions towards Naira are finally clear. She challenge him that she will expose his real side to Goenka family and will take revenge of her self respect. Later Goenka family is busy in Gayu and Samarth wedding where Mehendi ceremony is going to start. But Kartik and Naira are fighting over something and shares some cute moment . Kartik fakes anger in front of Naira and she tries to convince him with her cute talks.